Tell Congress to pass 'Enforce the Law for Sanctuary Cities Act. Katie Steinle was killed by an illegal alien on July 1, 2015. 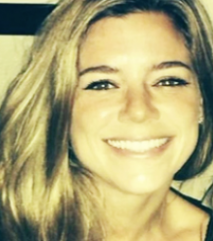 Her killer was safe in the 'sanctuary' of San Francisco, California. Hundreds of cities across the United States harbor illegal aliens. These cities have so-called "sanctuary" laws that exempt them from complying with federal law on immigration. It's time to end the double standard. Add your name below to tell your U.S. Representative and Senators to pass 'Enforce the Law for Sanctuary Cities Act' now. I live in possibly the worst sanctuary city...Los Angeles. It currently reminds me of a Third World Country. We MUST put a stop to this NOW !!!! Don't finance sanctuary cities. Enforce Sanctuary Cities act. If you don't like a law then change it. However it is destructive to our very fabric to have lawbreakers think it is ok to choose which laws to follow and which to ignor. Peggy C. from Augusta, GA signed. Randy S. from Westfield, IL signed. Sharon S. from Drums, PA signed. John H. from Lawrenceville, GA signed. Enough is Enough! All 11 million must return home--they are arrogant, and believe that they have a right to break the laws and do as they please in this country! THIS IS NOT ABOUT RACE--if the majority of people were from a European country and classified as a non-minority race my sentiments would be the same! FOLLOW THE LAWS--Those who do are waiting for visas! It has been 10 years that I can recollect that illegal immigrants have entered the country and have done as they pleased on our tax dollars! RIP KATIE! simone b. from West Covina, CA signed. Someone from Pendergrass, GA signed. Joe C. from Bangor, PA signed. Law and Order...just as Trump says! Vote the Democrats out and the problem will be solved. Debra T. from Groton, CT signed. Eliminate all sanctuary citys in the united states. Our present administartion and state officials have refused to do this in california. Congress need to protect American citizens, NOT illegals!!! when you raised you hand to uphold the Constitution and defend us Americans from ALL foreign Illegals All from being harmed . So do your job right for a change . Getting sick of you in the white house not holding up the laws on outsiders but force laws to protect them . what is wrong with you people once you get in office . You lose common sense .shape up and at least pretend to do you Job better and for us Americans not the Illegals . This is our country not theirs . If you want to work for them move to their country , get it . James S. from Fort Myers, FL signed. So Congress, you must like more killings of the USA citizens. Get rid of the Sanctuary Cities Act. This is down right murder from all of you. STOP IT. allen p. from Winchester, OR signed. David F. from Blairsville, GA signed. Rhonda B. from Marrero, LA signed. Charles R. from Las Cruces, NM signed. Theresa L. from Mount Pleasant, SC signed. Mary V. from Auburndale, FL signed. James D. from Santa Fe Springs, CA signed. Patty K. from Floral City, FL signed. Someone from Jasper, GA signed. Laura D. from Los Angeles, CA signed.